A possible Crossride for murakumo? 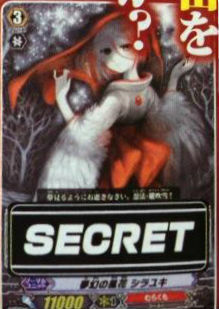 Whose card effect is yet to be revealed. From the looks of it I kinda like the fanart of it. Anyone willing to sell me this card when released? Planning to buy in Bulk. hehex. A new Limit break for it as well. 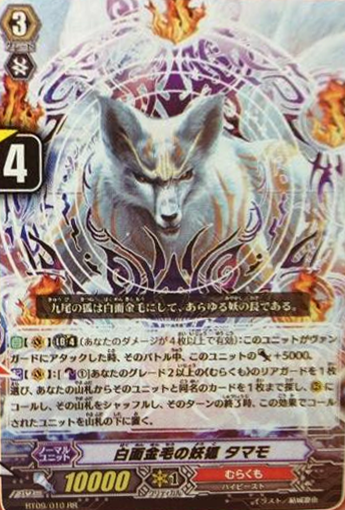 [AUTO](VC): Limit Break 4 (This ability is active when you have 4 or more damage): When this unit attacks a vanguard, this unit gets [Power]+5000 until end of battle. 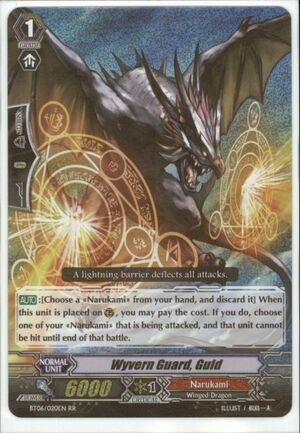 [ACT](VC): [Counter Blast(1)] Choose one of your grade 2 or higher «Murakumo» rear-guards, search up to one card with the same name as the chosen unit from your deck, call it to a (RC), and shuffle your deck. At the end of the turn, place the unit called by this ability to the bottom of your deck. Of all things. Bushiroad WHY YOU NO GIVE US AN EXTRA DRAW TRIGGER? Another surprise in store for Narukami players that bushiroad has in store for you. [ACT](VC): Limit Break 5 (This ability is active if you have five or more damage):[Counter Blast (3)] Until end of turn, this unit gets [Power]+5000/[Critical]+1, gets "[CONT](VC):This unit battles every unit in your opponent's front row in one attack." 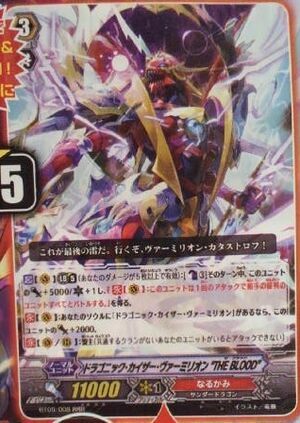 [CONT](VC): If you have a card named "Dragonic Kaiser Vermillion" in your soul, this unit gets [Power]+2000. halo shield. Prices will drop drasticly. And reprints always there to spoil the market for us. However to look in the brighter side of things, Reprints means more affordable prices for players who just started. So here you go. You may consider the reprint as bad news if you want.